- Verify assets owned by an individual or companies enabling banks, companies, financiers, in litigation for recovery of dues and for eviction cases. - 1. 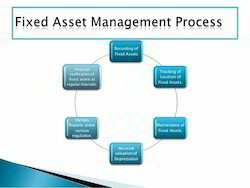 “Fixed Assets are the assets held by enterprises which are used in manufacturing of goods or providing services or any other use but not for sale in ordinary course of business.For example- Machinery, Furniture, Vehicles, Computer etc. Landlords If you own a home, apartment, commercial property, then you can easily make some easy money off it, by renting it out. This will give you with a steady stream of income each month, without doing anything. Most of the times, you are renting out your property to an unknown person or family. We verify the asset under the ownership of individuals or companies that is very helpful for banks, companies, money lenders and other related bodies. Our asset verification service is used in case of litigation for recovery of dues and for eviction cases and the information is gathered by enquiring about the defaulters. To find out the property owned by an individual or company to enable financial institutions, Private Companies at the time of litigation to recover dues and for judicial cases. - SoC had 3 cores (2 internal and 1 ARM) and 60 peripherals. - Verified the blocks using VMM Random test generation and directed DV. - Fault analysis and coverage along with negative tests. - Gate level setup and simulations. Our skilled team of experienced professionals is constantly involved in undertaking Asset Verification services. 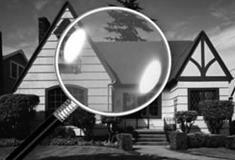 We provide these services to our customers for checking several legal documents linked to purchase or sale of property. These documents are inspected in agreement to the respective acts of the government and we carefully examine the documents for any forged clause or element. We are one of the known and acknowledged organizations in the market, highly involved in providing Signature Verification Service. These services are performed and executed beneath the command of deft professionals using progressive techniques. Along with this, these services are provided within stipulated time frame. More to this, these services are highly reliable in nature. For debt recovery and some many other reasons, asset verification is necessary for our clients such as Bank and individuals, we are expertise in locating the illegal/hidden assets of the suspect with authentic documentation. Shadows Consulting & Investigations specialized in Pre/ Post Employee verification services in India. Through this Pre/ Post Employee verification any company gets the right documentary from their employee. A comprehensive report is submitted on their background, criminal record, previous employment history and education qualifications submitted to you.